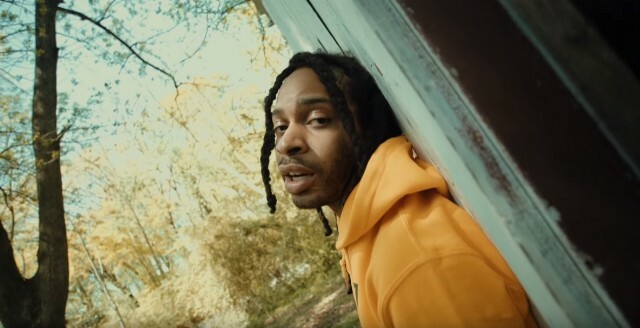 Valee continues his streak of dynamite records today with the release of “Loading,” which comes with an accompanying video. The Chicago rapper rhymes quietly and delicately, in transfixing juxtaposition to the heavy thudding and warped melody of the beat (which he produced as well). It’s a weirdly calming and engrossing song, made more so by the simple video, which shows the G.O.O.D. Music artist half-dancing in the woods. Today on Twitter, Valee also hinted at the possibility of releasing a new mixtape in the near future.That would be his second release since being signed to G.O.O.D., following the release earlier in the year of his EP GOOD Job, You Found Me. Valee has steadily continued to drop music in that time since his EP dropped, including songs “Allat” and “Womp Womp.” He is also hitting the road this fall as an opener for Pusha T on his new tour. Watch his new video below.